We take a huge pleasure in the market by offering best and most perfect quality variety of CNC Curved Stones. Our organization has successfully expanded its business in the market owing to the offered Granite carving wall. Beige Sandstone Carvings In Stone, Size: Height-48"
Our range of red sand stone carving is available in various sizes according to the requirement. They exhibit high characteristics and, hence are extremely suitable for all kinds of exteriors. Since our establishment, we have become the well-known manufacturer, trader and supplier of Stone Jarokha. With long years of knowledge and experience in this domain, we are highly engaged in presenting an impeccable range of Handicraft Stone Carving. GEM STONE CARVING Hand carving from India contain so many item as Animal, buddha's head, flying birds, god shiva, laughing sun & moon, om, pryamid plates, shanka, Shivalingum, sitting buddha, sitting ganesh, sriyantra, Tortoise and much more items. Stones are Crystal quartz, Rose Quartz, Amethyst, Lapis lazuli, Malacate, Green Aventurine, Moon stone, Tiger eye, Sea green aventurine. It takes years of experience to select a gemstone big enough to be carved and artist but not craftsmen to carve on such expensive stone. We can carve any design as required by you. Note:Price varies from INR 100 Per Carat to INR 1500 Per Carat. 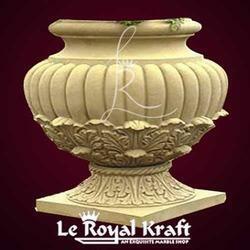 Stone carving is an ancient activity where pieces of rough natural stone are shaped by the controlled removal of stone. Owing to the permanence of the material, evidence can be found that even the earliest societies indulged in some form of stone work.